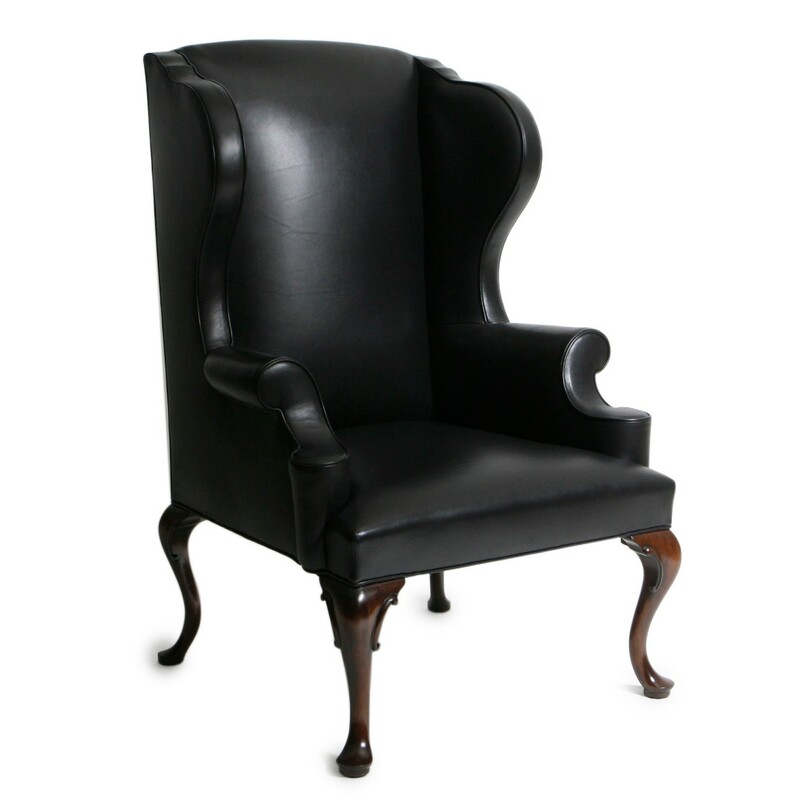 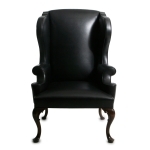 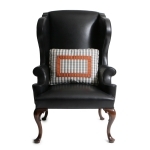 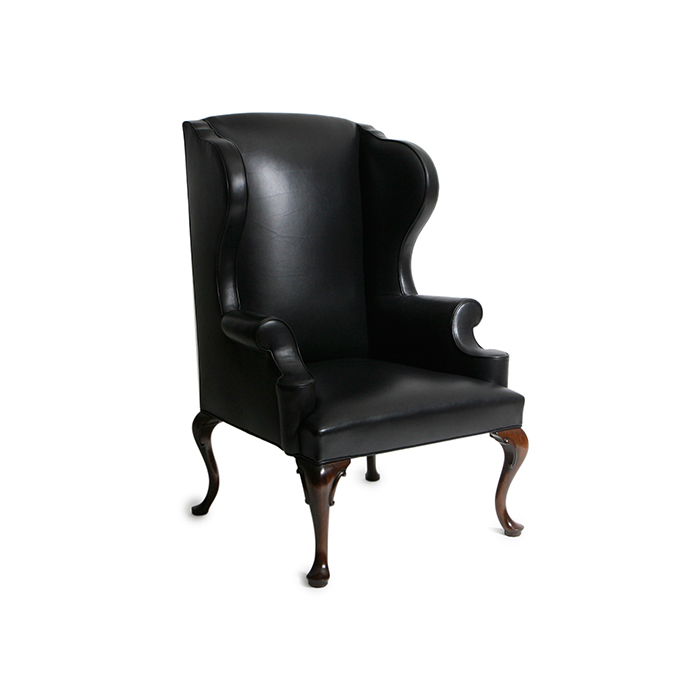 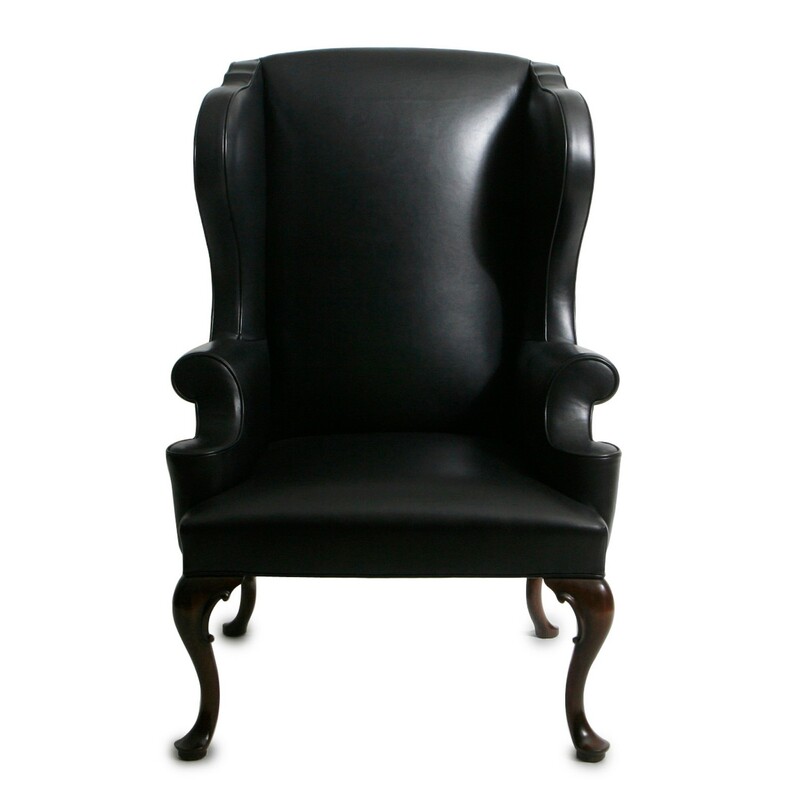 A modern wingback chair, shown upholstered in black leather. 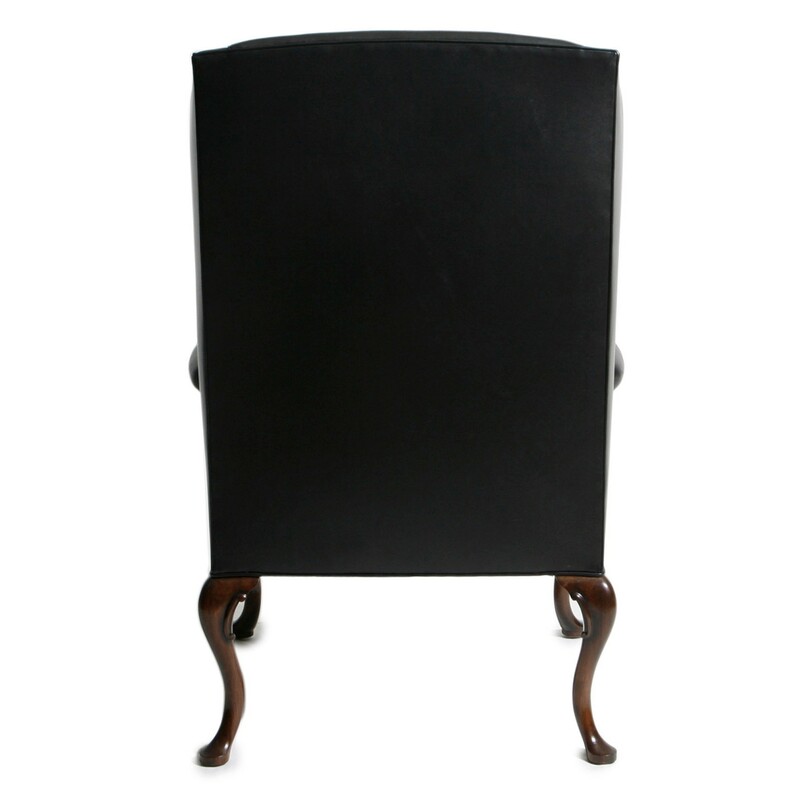 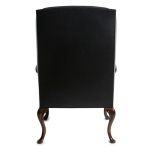 Features a tight seat and back, cabriolet legs and solid wood frame with 8-way hand tied construction. 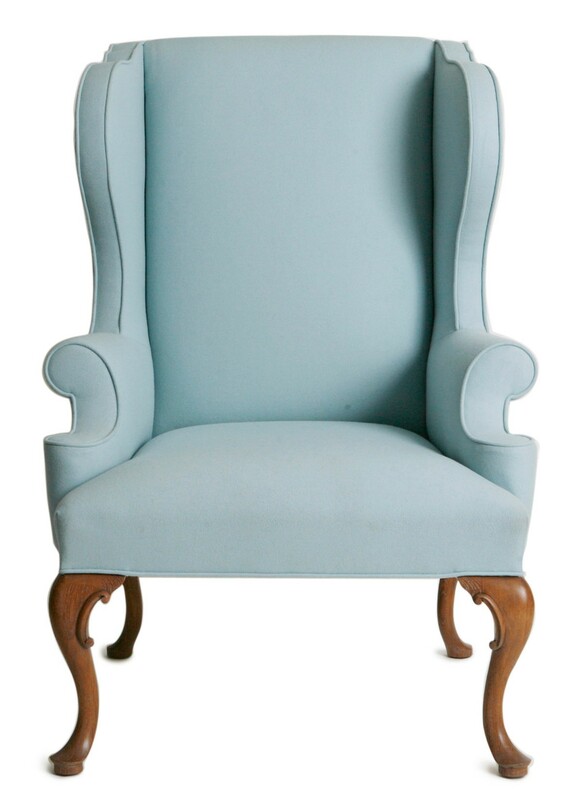 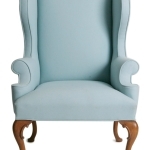 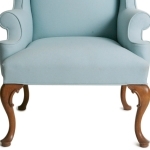 Also, shown in robins egg blue wool. 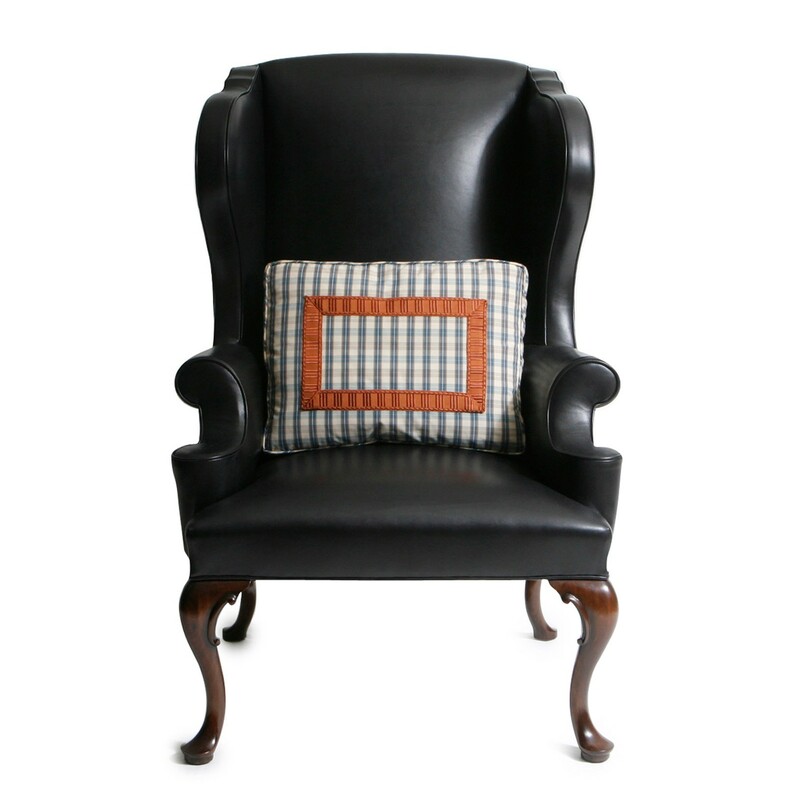 Pillow sold separately. 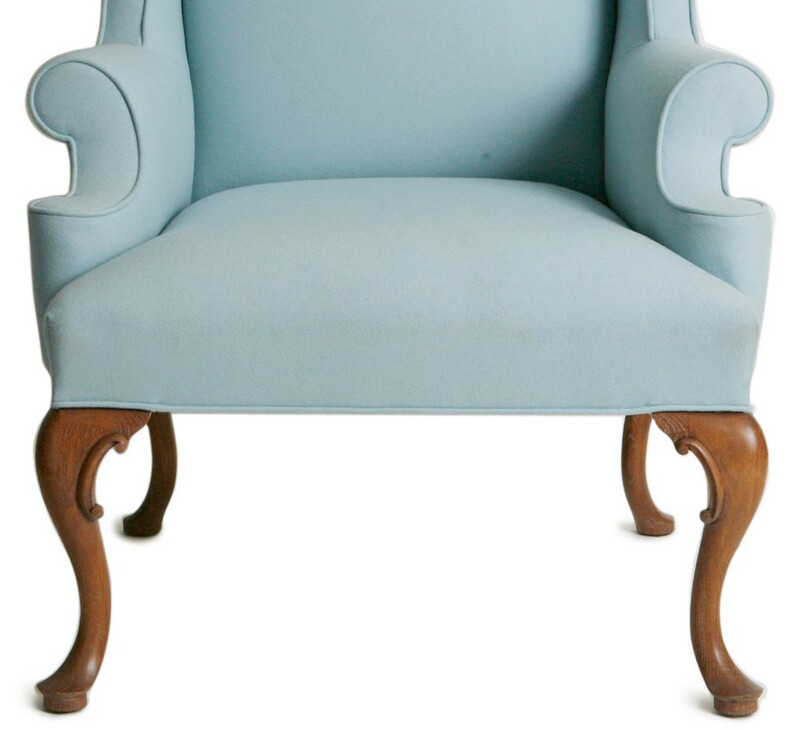 Fabric Requirements: 9yrds COM, 198 sqft COL.